Tex Logan was born in Coahoma, Howard County, Texas. He grew up to become one of the best fiddle players of his generation but figured a day job was a good idea. His studies in electrical engineering earned him a master's degree from M.I.T., a doctorate from Columbia, and a steady job at Bell Laboratories in New Jersey. 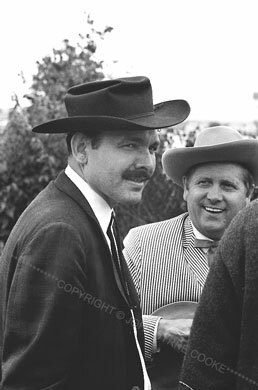 Along the way he found time to fiddle at the Wheeling Jamboree and with artists such as Wilma Lee and Stoney Cooper, Hawkshaw Hawkins, and Red Belcher, whose band the Kentucky Ridge Runners included, at the time, two brothers named Everett and Bea Lilly. It was the start of a beautiful friendship.